The Recreation Division provides life-enriching recreational programs and activities for people of all ages, from infants to older adults. Leisure classes are offered in personal enrichment, music, dance, arts & crafts, swimming, preschool, tennis, and health & fitness; special programs for youth include the ASES Before and After School Program and day camps; and sports activities and leagues including softball, roller hockey, and arena soccer are scheduled seasonally. 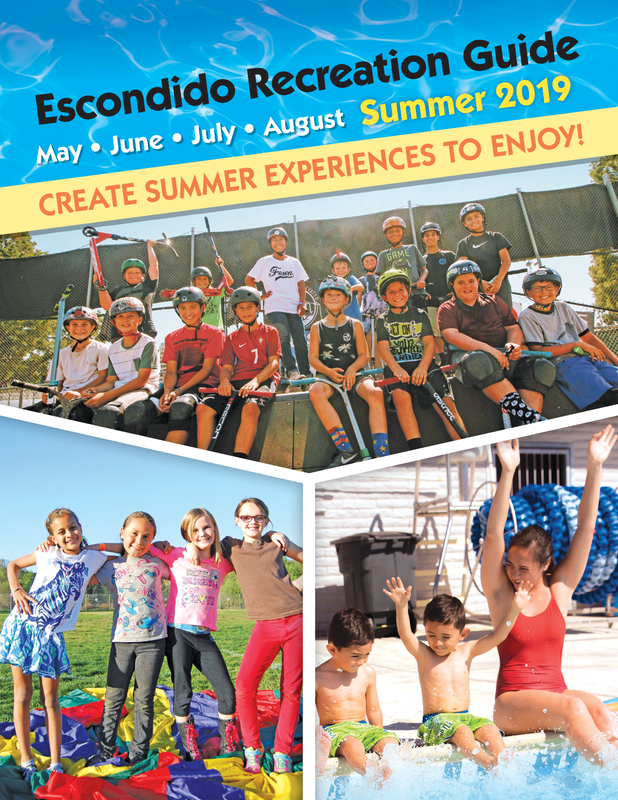 A Recreation Guide is created on a trimester basis, listing the wide variety of leisure-time activities available, is mailed to Escondido residents through the U.S. Postal Service. All the information, and more, in the recreation activities Recreation Guide is available online at recreation.escondido.org and you can also view or download a PDF version of the Recreation Guide. Internet registration is available for Escondido Recreation classes and activities. Discover how easy and convenient it is to register for your favorite classes anytime, day or night, using online registration. Qualified individuals with disabilities who wish to participate in Escondido Recreation programs, services, or activities and who need accommodation are invited to present their requests for accommodation to the City by filling out a Request for Accommodation Form, or an Inclusion Support Form for Minors, or by calling 760-839-4643, preferably at least 72 hours in advance of the event or activity. Office Hours: Monday, Wednesday, & Friday, 8:30 a.m.-9:00 p.m.; Tuesday & Thursday, 11:00 a.m.-9:00 p.m.; Saturday, 8:30 a.m.-5:00 p.m.
Office Hours: Monday-Friday, 3:00 p.m.-7:00 p.m.; Saturday, 8:00 a.m.-6:00 p.m.; Sunday, 1:00 p.m.-6:00 p.m.